He doesn’t require any preface to start with. He is a well-known name in literary circles as well as in Television and Film Industry all over India. 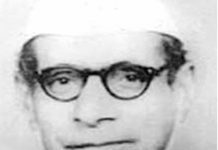 Rather we may say that he is a household name in our state for his valuable contribution to Dogri literature in particular and bringing mother tongue Dogri on national scene. He is an honest, prolific writer, a true human being who is non-controversial, very sober and a simple personality but full of ideas and awesome vocabulary to pen down that content on paper that comes out as an inspiring , thought provoking creative work, for which he is widely known and acclaimed for. He is Ved Rahi. 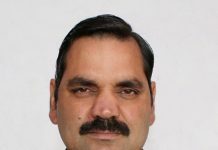 Very recently he was conferred upon the prestigious 2nd Dinu Bhai Pant Memorial Life time achievement Award by Dogri Sanstha, Jammu in collaboration with Dinu Bhai Pant Memorial Trust. 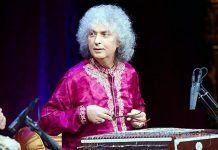 While receiving the award, he very emotionally admitted that although he has been awarded by different organizations in the past all over India, but it was an honor for him to receive this award in particular as he was closely associated with Pt. 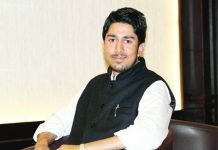 Dinu Bhai Pant. Moreover it was just a recognition for whatever he has worked for Dogri literature by his own people whom he admires, loves most for being one among them and be a passenger of the same path that leads to a noble cause of working for the upliftment of mother tongue Dogri. 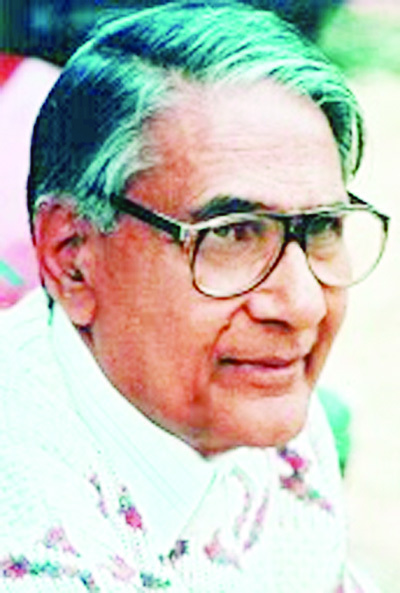 Ved Rahi was born on May 22′ 1933. He, being inspired by the atmosphere at home started writing at a very young age of almost 12 or 13. 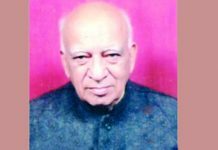 His father Lt. Mulkraj Saraf, regarded as the father of journalism in state has the credit of publishing first ever newspaper “Ranbeer” in the state of J&K. 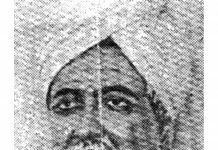 Ved Rahi initially started writing in Urdu language, then he took to Hindi and later on started writing in mother tongue Dogri and has been instrumental in enriching the Dogri literature with colossal literary contributions. If we cast a look at the long journey of Ved Rahi in literature or as a film maker or Director for television, then he has always been a trend setter. 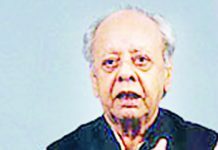 To mention a few, his novel “GARABH JOON” and “ANANT” have been a perfect example of what a bold content is all about and how the provocative thoughts are blended with sheer creativity thus making use of beautiful and impressive words. “GARABH JOON” has been an inspiration for so many and is regarded as a master piece from all angles of creative novel writing that has enriched the Dogri literature with class flavor. Somewhat same may be said about “LALDED’, that has been translated into so many regional languages and awarded for translation works by Sahitya Akademi. 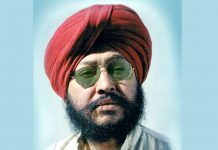 When it comes to poetry, then his collections in the form of “Chup Rehiye Prarthana Kar”, “Battotaar” have cast an everlasting impression on the readers as well as critics for the content and class. 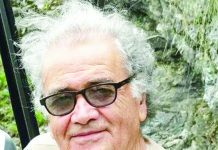 With three short stories collection, eight novels, an essay book, two poetry collections and several edited books, he has carved a niche for himself in literary field. His short stories collection “Aale” bagged Sahitya Akademi Award in 1983. His serial “Gul Gulshan Gulfam” is still reckoned among one of the best works for television Industry that had set up very high standards and bagged so many awards too. His film on “Veer Savarkar”, a bio-epic on the life of Indian revolutionary Vinayak Damodar Savarkar has been a historical document. In addition to it he has written stories, screenplays and dialogues for more than 25 Hindi Bollywood films and has directed many Hindi films also. 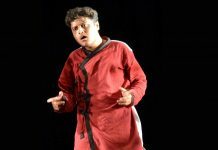 At the same time he has written, produced and directed numerous short films and documentaries predominantly in Dogri language. It is pertinent to add here that summing up his creative works is very tough. On watching his extreme passion for his works and the way he has inspired numerous writers and those involved with creative works like film making, one may say that he has been an inspiration for all. I, personally am very much inspired with his writings and his sober attitude that just boosts the morale of everyone coming in contact with him. He is a very good reader and whatever book he receives, he goes through it and even responds on phone or through letter which gives another side of this great personality. Otherwise people have a common excuse of lack of time and over busy schedule. But he makes it a point to go through the books and then give his valuable viewpoint, quite helpful for the writer. One vital point that differentiates him from the rest of others is that he is never afraid of writing that he intends to and suits his creative works whereas there are so many writers who feel scared of giving words to their thoughts for this reason or that. 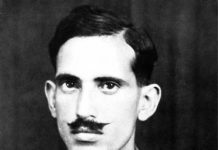 But as he belongs the family of journalists like Lt. Mulkraj Saraf, his father, Lt. Om Saraf, his elder brother and Pushap Saraf, his nephew, he is never shy of putting forth his viewpoint through his writings. The result is quite evident with memorable collection of his writings whether through novels, stories and even poetry. With his humble approach in life he has created an aura for himself that everybody gets inspired from him. In a conversation, he expressed satisfaction that there are so many writers coming up with good ideas and future of mother tongue is bright. He is very optimistic and is of the view that talent should be recognized as it boosts the morale of not only the talents involved but also inspires others to come ahead and be an active participant of the movement for a noble cause. For the new entrants in the field of literature, he says that they should not copy anyone but work on original ideas. If one is creative from the core of heart, then there is no dearth of ideas for him/her. There is a lot to be explored from creative point of view. At the same time he advises the young generation in particular to develop a habit of reading. According to him, reading should be a passion as it helps you a lot to know about others’ works also. It increases your knowledge and polishes whatever you think of creating too. While concluding I will like to add that there are so many good writers, having reached the zenith of popularity and may be achievements also from hi-fi awards point of view but he is a real Gem of a person. 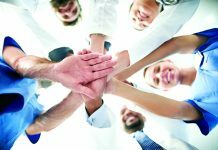 Whenever you are in his company, you get positive waves and feel delighted with the aura being created because of his positive and creative approach in life. In fact he is a role model for so many.